When you have too many chairs or stools, get organized and make a bold statement with the Chair and Stool Shelf. This unit is made with clear glass shelves and an attractive frame made from brushed stainless steel that will illuminate any living space. It conveniently fits three chairs or stools on each shelf, or can accommodate other pieces of similar size. 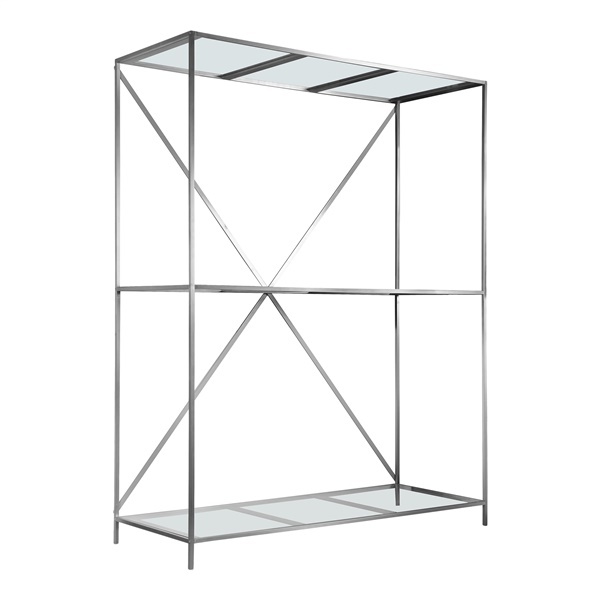 In addition to serving as a practical and functional piece to organize your home, this shelving unit also brings a look of sophistication and elegance into your modern home.